After taking off this week to make some changes to the trailer, Pit Stop Burgers will be open May 29th at Madison Middle School in Richmond, KY. I want to make sure all of the teachers can order, eat, and enjoy their lunch without being rushed, so I will be set up privately for Madison Middle employees from 11:00-12:00 and then open from 12:00-1:30 for all customers. Please be considerate of the time frames since Madison Middle is providing Pit Stop Burgers a great central location for all customers. This Friday, September 4, Pit Stop Burgers will once again join Liquor Mart II to get your long weekend started right. Swing by 1019 Sylvia Drive in Richmond from 11:00 - 4:00. Some of the "Specials" I have offered have gone over so well that I have decided to put them on my everyday menu. So you can now enjoy the Smoked Pulled Pork Nachos or the "Wildside" burger anytime. This week I will be debuting a new burger... The Mushroom and Swiss Burger, and no I haven't come up with a name for it yet... if you have any ideas I am open to them! Hope to see you Friday to start the long weekend with a good meal! I hope you will join us for lunch or supper, this Friday, August 28 for the first ever Pit Stop Frog Leg Friday. We will be at David's Wrecker, 217 East Irvine Street in Richmond, just behind CVS from 11:00-6:00. 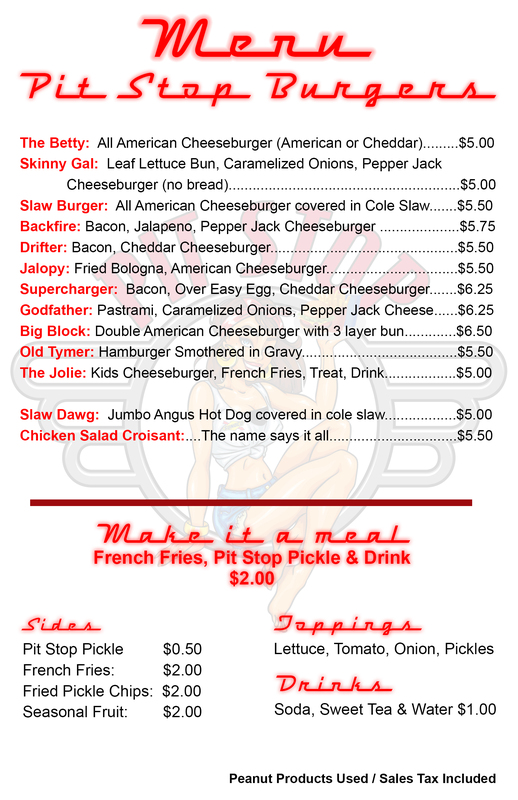 We will have all of our popular burgers, pulled pork nachos, jumbo angus dogs and cases and cases of Cajun Frog Legs! 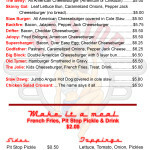 Pit Stop Burgers will be at Hager Cabinets on the bypass today starting at 11:00 am. Swing by for lunch!